Who doesn’t like a bit of cake? My wife is an awesome baker, and her cakes are not only beautiful but they also taste amazing. Unfortunately they are made using ingredients that are not so great to be consumed on a daily basis, so I try to eat them only occasionally when I plan to miss the target. 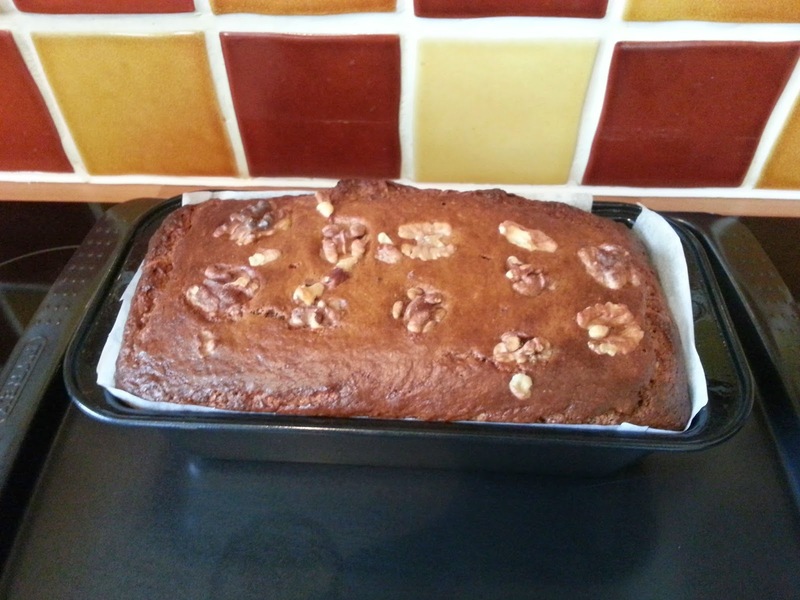 Now you can have the best of both worlds, with a banana cake recipe that fits in well with metabolic efficiency. These ingredients will give you a good combination of fat and protein plus a source of fibre that will help you control of your blood sugar levels and keep insulin spikes at bay. Preheat your oven to 180 degrees centigrade. Grease and line a loaf pan. Combine your wet ingredients in a food processor. Once all of your ingredients are blended, add in your dry ingredients-coconut flour, cinnamon, baking soda, baking powder and salt and mix well. Lastly add the nuts. Pour in your batter and level and then top with walnut or pecan halves. Place on a baking tray and bake for 50-55 minutes until a skewer inserted into the centre comes out clean. Remove from oven and leave to cool in the tin before turning out. 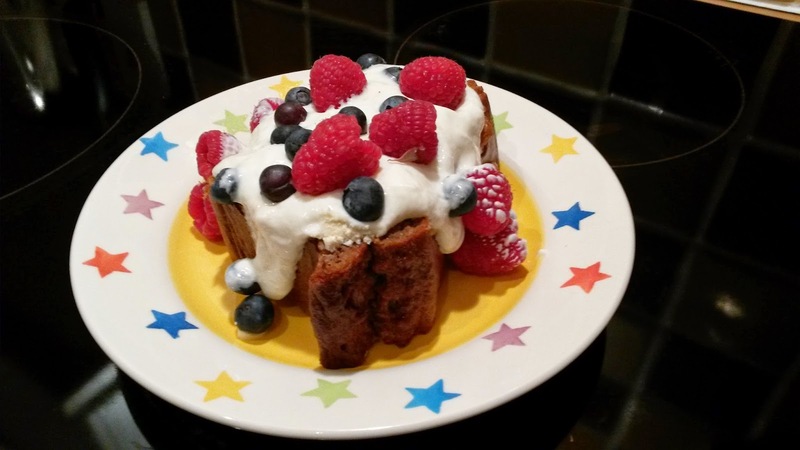 Utterly gorgeous served with a dollop of Greek yoghurt and summer berries! When working out very early in the morning and having a big breakfast would not do me any favours, I enjoy a small slice of this cake with a cup of coffee. I know good quality coconut oil can still be quite expensive but I find using olive oil works just as well and doesn’t affect the flavour. 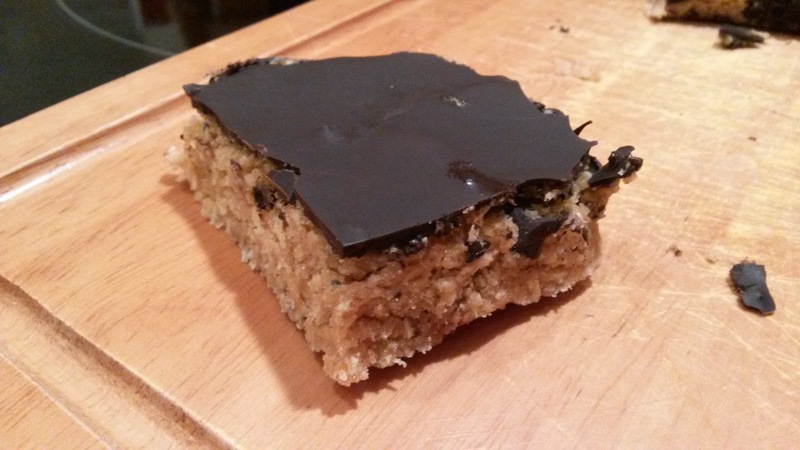 Since the theme is sweet on this blog post, I’m also going to share this delicious bar recipe created by Bob Seebohar. The greatest thing with this recipe is that there is not cooking involved, so anyone can have a go even the kids! Combine all dry ingredients except for dark chocolate chips in a bowl. Stir in nut butter. Add almond milk slowly and continue to stir. Place batter (should be crumbly) in a baking dish (8x8 or 9x9 inch) and press firmly in the dish. Melt chocolate chips and spread on top of mixture (I couldn’t find dark chocolate chips but used an 85% dark chocolate bar instead melted in bain-marie or microwave). Place in freezer for 30 minutes, then once ready cut it into squares and enjoy! The only problem I found with this bar is that I keep going back to the kitchen to pick up another piece. With the family away in New Zealand at the moment, I halved the recipe so I don’t have eat it all in one go. Although I am guessing you can keep the cut pieces in the freezer then remove them one at a time as you want them.